Dream Pod 9: Dream Pod 9 wishes Everyone a Happy Valentines Day! Quick reminder that Wednesday (February 14th) is Valentines Day, make sure to tell that special someone in your life that you love them. 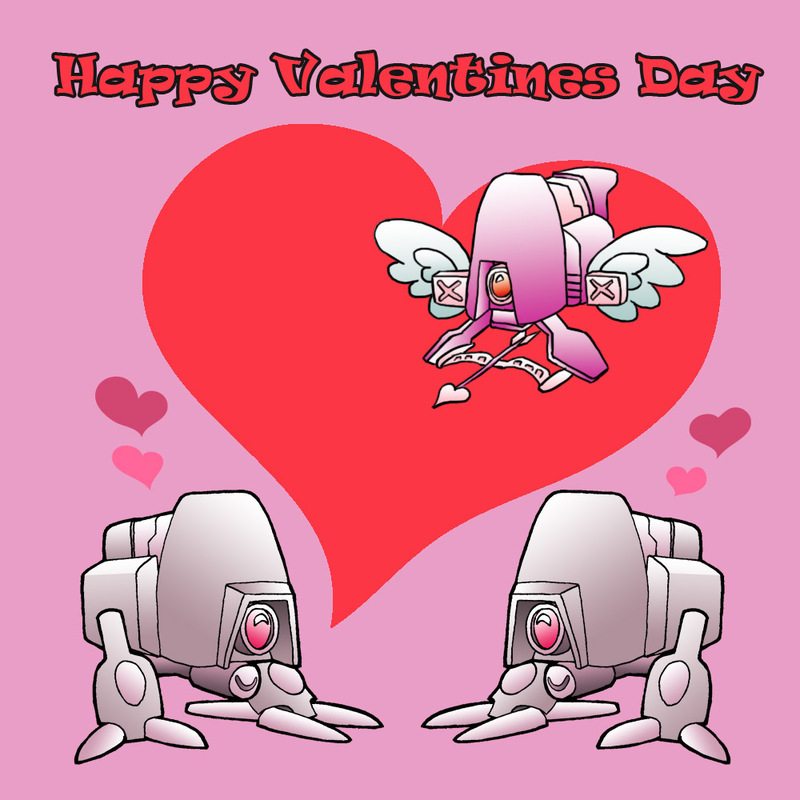 Artist John Bell, made a cute Valentines themed Chibi N-Kidu Drones artwork for the occasion, enjoy. Home › Blogs › Robert Dubois's blog › Dream Pod 9 wishes Everyone a Happy Valentines Day!